If your company is in search of a boom lift driver in Sydney, then give Vertical Challenge a call. Our small team of expert drivers have been with us for many years. Some with over 30 years experience in driving every type of boom lifts. We provide highly experienced drivers/operators at competitive rates for Sydney and Regional areas. 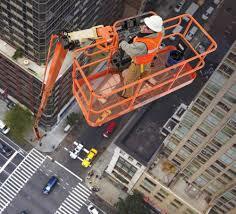 Vertical Challenge provides experienced, licensed drivers for all Elevated Work Platforms under or over 11 metres. Casual Rates Quoted Depot to Depot. Minimum 8 hours. All of our employees hold the OHS General Induction Card for Construction Work in NSW, along with the relevant EWP License. Equipment Hire, with Labour, can be arranged as a package deal, by negotiation. On request we will supply SWMS, Barricading, Warning Signage, Witches Hats and Cautionary Tape. Additional charges apply. If you are not sure what EWP (boom lift) you require for your job then ring Vertical Challenge we will inspect the job site for you. We guarantee to to get the right for you each and every time, saving you from potential loss of money on hiring the wrong machine. 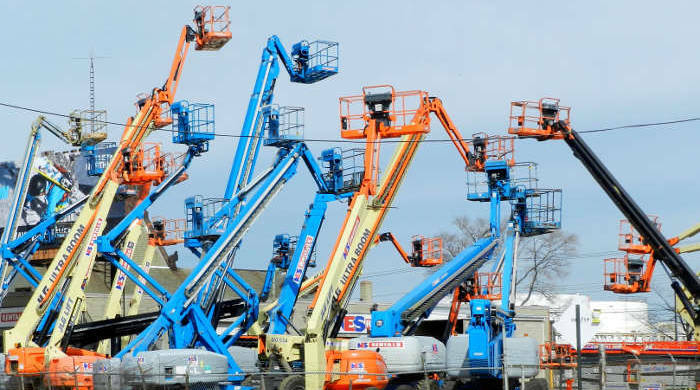 We can hire the boom lift (negotiable) on our account for you, providing you with a driver, OH&S documentation, safety equipment etc - the full package.